Implants allow you to get a new set of teeth in one day. Instead of a Denture, 4 immediate implants will be placed by the Oral Surgeon and Dr. Cocozzo will permanently place a full set of teeth the same day. This procedure is done at the Oral Surgeons office while you are sedated. For many patients with missing teeth due to injury or damage, dental implants maintain the integrity, appearance and functionality of your smile. 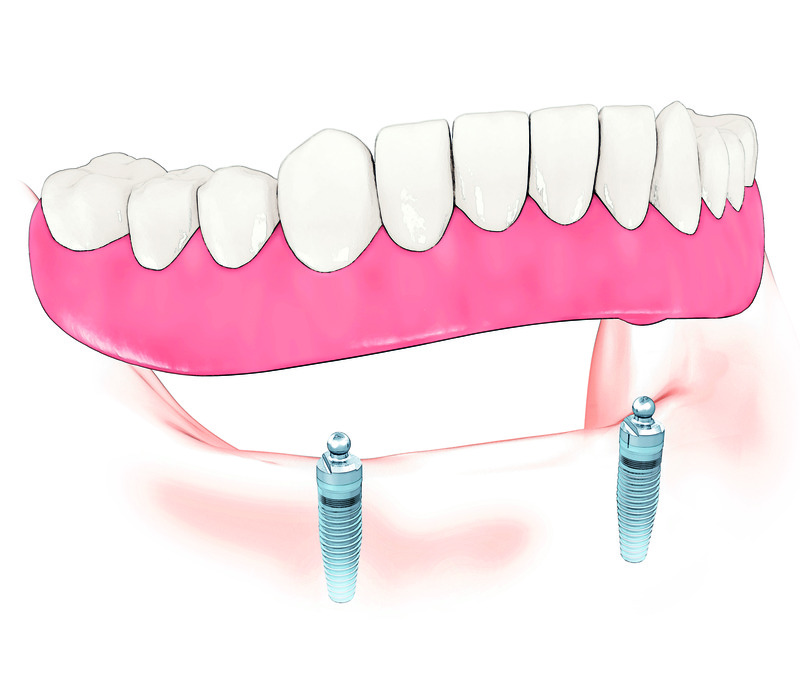 Dental implants can act as anchors to support dental work, including bridges or dentures. Consisting of a titanium screw that is implanted into your jaw, the dental implant is topped by an artificial tooth that blends in with the rest of your teeth. However, unlike natural teeth, the artificial tooth does not decay. Dr. Cocozzo is an experienced restorative dentist who works with qualified oral surgeons and periodontists who place the titanium posts of the dental implant in your jaw. These specialists are experts in the anatomy of bone who frequently use CAT scans to ensure your safety and success of the implants. Some patients opt to be sedated by the specialist for this portion of implant treatment. The dental implant procedure takes place in several parts, more if you need bone grafting to build bone in your jaw. Generally, the grafting material is man made. If you are deemed a good candidate (healthy gums, overall good health, ample bone etc. ), Dr. Cocozzo will refer you to an experienced oral surgeon or a periodontist. After the patient returns to Dr. Cocozzo for impressions and color matching. This ensures the end result mimics the natural teeth in both function and appearance. The artificial tooth is crafted at a local dental laboratory in the Albany Capital region. 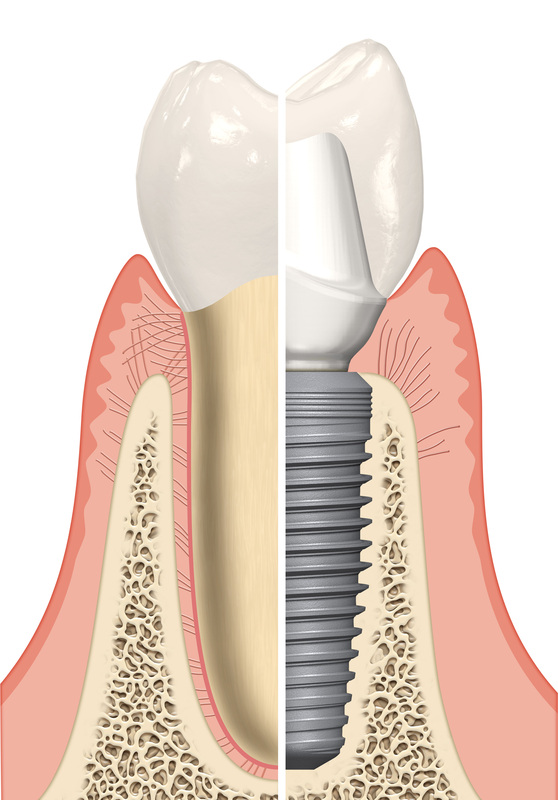 Dr. Cocozzo will affix the implant abutment and crown to each implant post almost always without the use of novacaine. Then you will have a uniform, healthy smile.